Geoff Bent was perhaps the unluckiest to die at Munich on that ill-fated journey home from Belgrade. 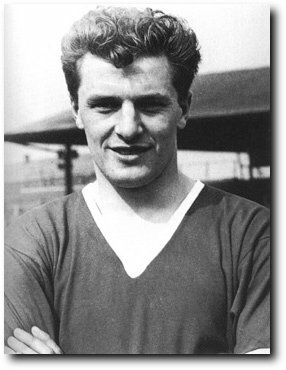 As a reserve full-back he had not been going to make the trip for the European Cup encounter with Red Star until Roger Byrne suffered a slight strain in the match at Highbury the previous Saturday. In the event, Roger was fit to face the Yugoslavians so Geoff was not needed, which made the events that followed all the more poignant. In fact, if he had been with any other club in the First Division, Geoff Bent would have been an automatic first choice. He was an aggresive tackler who could play on the left or right side of defence and who boasted speed, a cool head and good distribution among his assets. Life in the shadow of Roger must have been frustrating but it never affected Geoff's enthusiastic approach or his loyalty.